Capital Exhibits provides professional interior and exterior 3D rendering modeling design and print design services for over 25 years for clients in Montana, MT. If you are in the process of creating a new product or need an attractive home design, Capital Exhibits can deliver fast and top quality 3D design. When you make plans to go to a trade show, you know it will be one of your best chances for making an impression on potential clients. We also provide wide format printing on Vinyl, fabric, static cling and more. 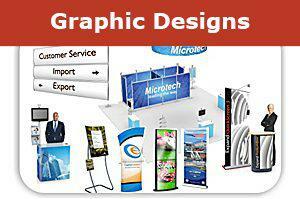 You need a attractive graphic design and display that represents you and attracts your target market. Capital Exhibits has been providing just that since 1994, and we would be glad to assist you with the finest in business graphic design and trade show booth concepts in Helena, Billings, Missoula, Great Falls, Bozeman, and Butte, Montana, MT. 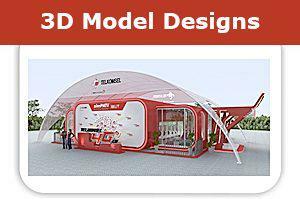 We start with competitive 3D design & graphic design quotes and rates and finalize with fast delivery of your order. At Capital Exhibits, we’re dedicated to creating and providing amazing, first-rate trade show displays. We can get your large project of posters and wide format printing done in matter of days. From something small and highly portable to a huge presentation that will keep you in the limelight, we’ve got the products and services that set us ahead of the other professional graphic design firms. So, where do you begin? First, select the size and style of your display. It could be as small as a flier on a tabletop or as large as 50 feet. You could also opt for wall coverings, pop up displays, kiosks, monitor stands, tablecloths, hybrid displays or something highly customized. Lighting and literature racks are also available. Our team has extensive education in graphic art design services and photography. We’ve brought these visual and technological skills together to drive our 3D rending, branding design services and trade show graphic design. Whether that means designing a tee shirt, expanding our flier design portfolio or developing a large display that will get used on a circuit of shows, we take the time to understand your goals and come up with the best graphic design idea for your vision. In the spirit of keeping our services affordable, Capital Exhibits is proud to conduct nearly all creative and practical business in-house. Having everything managed right in our offices helps to keep things streamlined and affordable. Never hesitate to get in touch with questions about logo design prices, graphic design outsourcing or anything else. Although quality and service are at the top of our list, speed and efficiency are also huge priorities. You can be sure that your print design pricing will include a fast turnaround time – your display will often be delivered to you within a matter of days. If you’re open to using our rental services – which can save you time, money and storage space – things can move even more quickly. Get in touch with Capital Exhibits today to learn more and to get the ball rolling on your graphic design images and advertising. Our team looks forward to working with yours in Montana.